The False Prophet is one of the primary antagonists of the Book of Revelation, and alongside the Dragon and Beast, forms part of the "unholy trinity" - the antithesis of the Triune Godhead presented throughout the Apocalypse as the One seated on the Throne, the Lamb and the Seven-fold Spirit. The False Prophet is depicted as anti-Elijah type figure who paves the way for the coming of the Beast/Antichrist to "make his paths straight". Although the storyline cycle concerning the appearance of the Beast/Antichrist precedes the narrative concerning the False Prophet, this should be considered as for thematic reasons rather than a proper chronological ordering. The Beast is introduced first to highlight his prominence amongst the persons of the unholy trinity. There are many other indicators in both public Revelation and private revelations which suggest that the False Prophet is a precursor to the Antichrist. If we begin by looking at the Bible, the fact that the role of the False Prophet deliberately echoes characteristics of the prophet Elijah - such as calling fire down from heaven (see 2Kings 1), suggests that just as Elijah prepares the way for the coming of the Messiah, so too would the False Prophet, or "anti-Elijah", prepare the way for the coming of the Antichrist. In a style typical of the Apocalypse, the source material in the Old Testament is given a new twist, and the figures of the Ram and He-goat are combined into the person of the land beast/False Prophet, who has two horns like a lamb, but speaks like a dragon. Daniel's parable of the Ram and He-goat undoubtedly originally referred to the rise of Alexander the Great and the divsion of his empire at his death. As such, the "Little Horn" described here represents Antiochus IV Epiphanes, who subjected the Jewish people to a fierce bout of persecution before the Maccabean revolt. The Apocalypse uses this template of historical events to build upon its portrayal of the False Prophet - the end-time figure who precedes the Antichrist and constructs an image resembling the reality of the seven-headed and ten-horned sea-beast which is still to come. In Unveiling the Apocalypse, I argue that the image fashioned by the False Prophet in honour of the beast from the sea is to be identified with the beast with ten horns described in Dan 7 - from which arises the Little Horn who persecutes the people of God before their kingdom is restored to them. I go on to further suggest that the False Prophet of the Book of Revelation is one and the same person as the Little Horn of Dan 7-8. So just as the Antichrist is prefigured in the Roman emperor Nero - the first persecutor of Christians (hence the equation of the number 666 with his name), so too is the False Prophet prefigured in Antiochus IV Epiphanes - the ultimate persecutor of Jews in antiquity. As I argued in the previous post Daniel and the Jewish Restoration, this particular portion of the Book of Daniel appears to have been a prediction of the creation of the State of Israel in 1948, after the Holocaust claimed the lives of almost six million Jews. The only end-time restoration of a kingdom belonging to the people of God after a period of persecution this passage could refer to is the long prophesied revival of the land of Israel. This interpretation would thus then make Adolf Hitler the Little Horn of the Book of Daniel and the False Prophet of Revelation, who is modelled after Antiochus Epiphanes - the ultimate persecutor of Jews in antiquity. In the centre of Hell I saw a dark and horrible-looking abyss, and into this Lucifer was cast, after being first strongly secured with chains; thick clouds of sulphurous black smoke arose from its fearful depths, and enveloped his frightful form in the dismal folds, thus effectually concealing him from every beholder. God himself had decreed this; and I was likewise told, if I remember rightly that he will be unchained for a time fifty or sixty years before the year of Christ 2000. The dates of many other events were pointed out to me which I do not now remember; but a certain number of demons are to be let loose much earlier than Lucifer, in order to tempt men, and to serve as instruments of the divine vengeance. 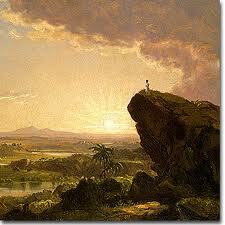 I should think that some must be loosened even in the present day, and others will be set free in a short time. And of course 60 years before the year 2000 takes us to the year 1940 - the beginning of the Second World War. Some commentators see parallels between this prediction and the Prophecy of Pope Leo XIII. But while the prophecy of Pope Leo focuses on the increase of Satan's power during a set period of time, it seems that Blessed Emmerich's primary concern is dating the outbreak of the Second World War - which may be considered to be the apex of Satan's power in the 100 years allotted to him. The above prophecy of Blessed Emmerich also echoes the rise of the locusts from the Abyss described in Rev 9 - which I have earlier argued was fulfilled in the invention of military aircraft at the turn of the 20th century (see The Apocalyptic Locusts). The war is going to end: but if people do not cease offending God, a worse one will break out during the Pontificate of Pius XI. When you see a night illumined by an unknown light, know that this is the great sign given you by God that he is about to punish the world for its crimes, by means of war, famine, and persecutions of the Church and of the Holy Father. If Hitler is to be equated with the False Prophet/Little Horn, then the ten horns of Daniel's beast would thus refer to the ten nations of the Axis Powers during the Second World War - Germany, Italy, Japan, Hungary, Romania, the Slovak Republic, Bulgaria, Yugoslavia, Croatia and Thailand. 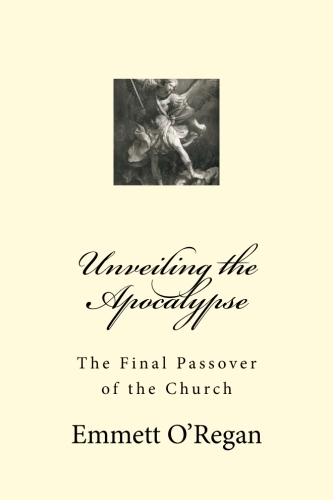 And if we are to accept this interpretation, it gives us a key to unlock the meaning behind many other portions of the Book of Revelation - such as the meaning of the Four Horsemen, and how both the Apocalypse and the Book of Daniel appear to have foretold the Jewish Holocaust (which I will discuss in future posts). At the same moment the False Prophet was coming to power as the most influential person on the planet in January 1933, Our Lady was appearing at Beauraing in the very same month to the humblest of individuals - poor European children of no influence whatsoever who would be greatly affected by the war. Just as the False Prophet is modelled after Antiochus IV Ephiphanes, so it seems that the Antichrist is be modelled after the most notorious persecutor of Christians - the Emperor Nero. Does this suggest that there will be a future persecution of Christians still to come under the Antichrist? A persecution similar in nature to the treatment of Jews during the Holocaust? Or are we already enduring an invisible persecution in the present Great Apostasy - a persecution which seeks to destroy our souls rather than our physical bodies? The present situation is vastly more destructive to the Christian faith than any physical act of persecution could ever hope to accomplish. The blood of the martyrs is the seed of the Church. But when the persecution of Christianity takes place invisibly, through social engineering via the medium of modern communications technology, then it becomes a lot more insidious indeed. Mega-tsunami Prophecies in the Book of Ezekiel? Then the LORD rained on Sodom and Gomorrah sulfur and fire from the LORD out of heaven. And he overthrew those cities, and all the valley, and all the inhabitants of the cities, and what grew on the ground. But Lot's wife, behind him, looked back, and she became a pillar of salt. The above attack of "the beloved city" by Gog and Magog is a direct allusion to Ezek 38-39, and recapitulates the battle of Armageddon described in Rev 16:14-16 and 19:19. 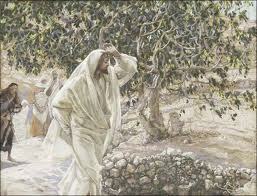 This passage would then correspond to the place "where their Lord was crucified" in Rev 11:8 above. So the Book of Revelation undoubtedly bases its portrayal of the whore of Babylon on the metaphorical destruction of Tyre in the sea described in Ezekiel and Isaiah. Whilst the Book of Revelation moves directly from the collapsing (or "fleeing") of mountains to the plague of hail and fire falling from the sky, the Book of Ezekiel gives us a further insight into this passage by showing that it is the battle of Armageddon - Gog and Magog, that will cause fire to come down from heaven to consume the enemies of God. It is highly unlikely that Cardinal Bertone would think that the "signs in heaven" spoken of in the Apocalypse would symbolise the plane attacks on 9/11 alone. As we have already seen, the "signs in heaven" described in the Book of Revelation are unmistakably astronomical in character, and would undoubtedly be recognised as such by an expert in theology. 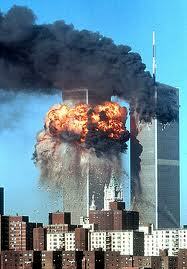 There is simply nothing in the Apocalypse that would even remotely describe the attacks on 9/11. Yet the timing of the events of 9/11 in the year 2001 are remarkably close to the "signs in heaven" we have already suggested occurred between the years 1999-2000. Could these musings of the Cardinal Secretary of State contain an insight into the content of the hidden part of the Third Secret? So why would the Vatican Secretary of State, effectively the second-in-command of the Roman Catholic Church, connect the Third Secret of Fatima with the sixth seal of the Book of Revelation and the 9/11 attacks on the World Trade Centre? As I noted in my previous post Signs in the Sky, each of the signs of the eschatological astronomical phenomena described at the opening of the sixth seal in Rev 6 all occurred at the turn of the millennium. An earthquake centred on the site of ancient Asia Minor - the location of the seven churches to which the Book of Revelation is addressed, a total eclipse of the Sun, a total lunar eclipse causing the moon to turn blood red, a meteor storm which occurs once every 33 years, as well as a rare alignment of planets, all took place between the years 1999-2000. Since the Apocalypse tells us that the sealing of the saints takes place after the opening of the sixth seal, this implicitly suggests that the fulfillment of the prophecy of the mark of the Beast is also timed to occur in this same time period - which was specifically foretold by Fr Stefano Gobbi to be the era in which the mark of the Beast would be implemented (see the earlier posts The Mark of the Beast, and Fr Gobbi on the Mark of the Beast). The mark of the Beast is an antithetical parallelism of the sealing of the saints, and reflects on earth in microcosm the marcosmic events of the heavenly sphere. Numerous prophecies, such as those of La Salette, and Pope Leo XIII, have also pointed to this date as either the moment of the coming of "a monster to disturb the peace", the coming of the Antichrist, or the time period of the triumph of the Immaculate Heart of Mary - when the Woman adorned with the Sun would crush the head of the Serpent (see the earlier post Our Lady of Assuit). And when we look at the imagery of Rev 12 in more detail (the portion of the Apocalypse which describes Satan being cast to earth - see The Fall of Satan), we can see that it is in fact a dramatisation of the eschatological astronomical phenomena which occurs at the opening of the sixth seal. It perhaps then not mere coincidence then that the most important and world-changing event of recent history also occurred in this same general time period - that of the 9/11 attacks on the World Trade Centre. The reprecussions of the 9/11 attacks, and the divide they have created between the Western and Arab worlds, are deeply significant in the shaping of world politics today, and may yet have future implications which we cannot yet foresee. For the windows of heaven are opened, and the foundations of the earth tremble. The earth is utterly broken, the earth is split apart, the earth is violently shaken. The earth staggers like a drunken man; it sways like a hut; its transgression lies heavy upon it, and it falls, and will not rise again. On that day the LORD will punish the host of heaven, in heaven, and the kings of the earth, on the earth. They will be gathered together as prisoners in a pit; they will be shut up in a prison, and after many days they will be punished. Then the moon will be confounded and the sun ashamed, for the LORD of hosts reigns on Mount Zion and in Jerusalem, and his glory will be before his elders. And on every lofty mountain and every high hill there will be brooks running with water, in the day of the great slaughter, when the towers fall. Moreover, the light of the moon will be as the light of the sun, and the light of the sun will be sevenfold, as the light of seven days, in the day when the LORD binds up the brokenness of his people, and heals the wounds inflicted by his blow. that reaches up to the neck; to sift the nations with the sieve of destruction, and to place on the jaws of the peoples a bridle that leads astray. You shall have a song as in the night when a holy feast is kept, and gladness of heart, as when one sets out to the sound of the flute to go to the mountain of the LORD, to the Rock of Israel. And the LORD will cause his majestic voice to be heard and the descending blow of his arm to be seen, in furious anger and a flame of devouring fire, with a cloudburst and storm and hailstones. In Unveiling the Apocalypse, I argue that the opening of the sixth seal occurred during the turn of the millennium, and was heralded by each of the astronomical signs described in Rev 6. Could the above material help to explain Cardinal Bertone's otherwise bizarre words concerning the "signs of heaven" described in the Apocalypse and his connection of them to the Twin Towers attacks when asked about the Third Secret? As I note in the book, the fact that Sr. Lucia specifically linked the Third Secret to chapters 8-13 of the Book of Revelation suggests that there is more to the message of Fatima than has been revealed so far. 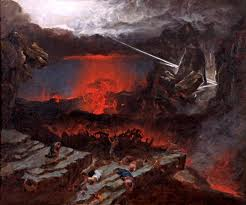 Chapter 8 of the Book of Revelation is where we find reference to the "huge mountain, burning with fire" being thrown into the sea, which I have linked to the threat of a future mega-tsunami posed by the collapse of Cumbre Vieja (see the earlier post Mega-tsunami). Could this explain the words attributed to Pope John Paul II at the Fulda conference that the Third Secret describes the oceans rapidly covering vast sections of the earth, resulting in the deaths of millions? (See John Paul II - The Third Secret and a Prophecy of a Mega-tsunami?) And we should also take note that chapter 13 of the Book of Revelation solely concerns the mark of the Beast. If the Third Secret does contain a reference to the "signs in heaven" spoken of in the Apocalypse, then it is possible that it also contains a specific date relating to the turn of the millennium, explaining why it has been suppressed since the 1960's (See The Fourth Secret of Fatima). If the events of 9/11 are indeed related to the opening of the sixth seal of the Book of Revelation, did they act as a harbinger of future events to befall the USA? It seems that each of the astronomical phenomena that took place at the opening of the sixth seal are inextricably connected to the Second Coming of Christ, and will possibly reoccur around this particular moment - which will this time cause "mountains and islands to be removed from their places", setting in motion a chain of events which will see the downfall of the eschatological world empire known as "Babylon". In the post The Third Secret of Fatima and the Angel with the Flaming Sword, I attempt to show some further connections between the secrets of Fatima and the events of 9/11. The belief that the restoration of the modern State of Israel was prophesied in Scripture is well known. There are various passages throughout the Bible which necessitate the existence of the nation of Israel at the end-time. 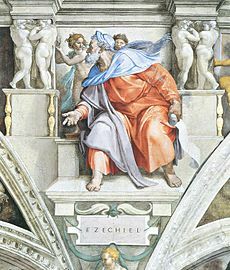 The Book of Ezekiel for example speaks of a gathering of the scattered peoples of Israel during the "latter years" - which is biblical parlance for the end-times. Although there may be some preterist elements in this portion of the Book of Daniel, the primary focus of the narrative is undoubtedly set at the end-time. Like the Book of Revelation, Dan 7 shifts its settings between the Second Coming (the appearance of the apocalyptic "Son of Man"), the Last Judgment, and the restoration of a kingdom to "the saints of the Most High". For the original author of the Book of Daniel, the "saints of the Most High" referred specifically to the Jewish people, and on one level this was a prediction of the victory of Judas Maccabus over the Seleucid ruler Antiochus IV Epiphanes, which once again gained independence for the Jews in the Holy Land. So on a futurist perspective, does this indicate that the "saints of the Most High" still refers to the Jewish people at the end-time? If so this would be yet another biblical prophecy of the end-time Jewish restoration, and would help give us a critical insight into a large portion of the Book of Daniel, helping us to identify some of its key figures - including the four beasts and the infamous Antichrist-type figure known as the "Little Horn". As we shall discuss in a future post, there are many similarities between this figure and the "False Prophet" of the Book of Revelation, which suggests that they refer to one and the same individual. So the existence of the modern State of Israel, which came into being in 1948 (exactly 1,260 years after construction began on the Dome of the Rock - see my earlier post The Abomination of Desolation) appears to be in some way preordained. It is certainly one of the most destabilising elements in current world politics, with the present tensions between the Arab and Western worlds revolving chiefly around the Israeli problem. Like the mythical phoenix, this once defunct nation has risen from the ashes of the Holocaust in a flame of fire - a fire which threatens to consume the planet. The Bible tells us that the last great battle fought by humankind will be fought in Israel on the plains of Megiddo and the valley of Jehoshapat (which means "God judges") - the location of Armageddon. A future invasion of Israel by the surrounding Arab nations which would become almost inevitable without the protection offered by its chief ally - the United States of America. If America was toppled from its superpower status by the devastating effects of a mega-tsunami, Israel, and the rest of the world, would find itself in a dire situation indeed. During the season of Advent, I thought it would be appropriate to reflect some more on the significance of the apparitions of Our Lady in Egypt (affectionately known to believers as Our Lady of Light), and their remarkable paralells to the vision of the Woman adorned with the Sun described in the Book of Revelation. Despite being witnessed on an unprecedented scale by hundreds of thousands, if not millions of individuals, these apparitions have been widely overlooked by the Western media, and indeed by many Catholics. The apparitions of Our Lady of Light, which have occurred from April 1968 to the present (the most recent of which being in October 2011 - see my earlier post Our Lady Appears in Egypt Again) are the only known precedent of the category of visions known in Catholic theology as visio sensibilis (an actual physical manifestation) to be witnessed on such an extraordinary scale. (You can find many excellent articles detailing these apparitions at the Zeitoun website, Miracle Hunter, and Medjugorje USA, amongst others). The only other Marian apparition witnessed on a comparable scale is that of the Miracle of the Sun at Fatima, which again is to be differentiated from those of Our Lady of Light in the fact that the Virgin Mary could only be seen by the three shepherd children. Instead of receiving visions of Our Lady, the crowds at Fatima witnessed the Sun spinning and dancing in the sky at the Cova de Iria .The Miracle of the Sun itself may have been a combination of unusual weather phenomena with the visio imaginativa class of vision (which whilst fully visible to the seer, these apparitions are perceived only through the mind's eye), since there was a small minority of people who could not see what the rest of the crowd were experiencing. We must also keep in mind that the numbers of those who have witnessed the apparitions of Our Lady of Light far outweigh the estimated 70,000 people present during the Miracle of the Sun. Despite being officially recognised as authentic by the local Cardinal Patriarch, the fact that Our Lady chose to appear over Coptic churches in Egypt, rather than Catholic churches elsewhere in the world has baffled some commentators, and can perhaps explain the lack of adequate devotion to these apparitions amongst Catholics. It seems that many have failed to recognise the true significance of these apparitions lies above all in their timing and location. The Virgin Mary chose to appear over Coptic churches for two very simple reasons - firstly because she is re-tracing the steps of the Holy Family's flight into Egypt (and the vast majority of churches in Egypt are Coptic, especially those in locations associated with the sojourn of the Holy Family), and secondly, that despite not being in full communion with Rome, they show that Our Lady has deep love and respect for the Coptic Church, which like the rest of Oriental Orthodoxy, as well as the Eastern Orthodox Church, offers a great devotion to her. While some have recognised that Our Lady is in some way re-enacting the journey of the Holy Family during their flight into Egypt, none (to my knowledge) have went on to ponder the primary reason for their escape into the Egyptian wilderness and attempt to re-apply the same conditions to a modern context; or compare them with the account of Woman adorned with the Sun given in Rev 12 - which is basically the story of the nativity seen through an apocalyptic lens. The equation of the Woman adorned with the Sun with the Virgin Mary is a long standing tradition in the Catholic Church, as is attested by the various icons (such as Our Lady of Guadalupe) which depict her as arrayed with the radiance of the Sun, a crown of stars, and with a cresent moon at her feet. This asssociation has recently been re-affirmed by Pope Benedict XVI during his address honouring Our Lady at the feast of the Immaculate Conception on 8th December 2011 (see here). The Crescent Moon under the feet of Our Lady of Guadalupe. The "horns" of this crescent shape most likely represent Satan, who positions himself at Our Lady's feet in an attempt to devour her offspring. But ultimately Our Lady is the one who crushes the Serpent's head. 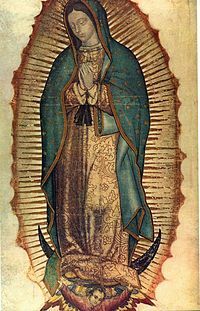 The word Guadalupe is thought to be taken from the Aztec Nahuatl word Coatlaxopeuh (pronounced "quatlachupe") which means "the one who crushes the serpent". The seven-headed dragon which positions itself at the woman's feet, ready to devour her child upon birth represents Herod's intentions to destroy the Child Jesus after his birth in Bethlehem. Herod's attempt to kill Our Lord at birth is also hinted at again later in the chapter, when the serpent pours out flood waters to sweep away the Woman and Child. To escape from this threat the Woman is given the "two wings of the great eagle" and escapes into the wilderness for a "time, times and half a time", or three and a half years - which according to Coptic tradition is exactly the length of time the Holy Family sojourned in Egypt. 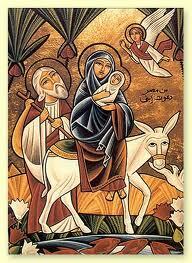 According to this tradition, after the Holy Family reached Assiut (the location of the apparitions in the year 2000), they turned back to re-trace their journey in the Egyptian wilderness, and when they reached Gabal Dranka (the location of the apparitons during the year 2001) Joseph recieved his dream telling them to go back to the land of Israel. This has led many commentators to suggest that the year 2000 was the turning point of this re-enactment of the flight into Egypt, with the apparitions now making the homeward journey. It is also interesting to note that the Greek word used for "place" in Rev 12 - topos, is used elsewhere in the New Testament with the meaning of "temple" or "sanctuary". So the passage in Rev 12 could also be translated as "But the woman was given the two wings of the great eagle so that she might fly from the serpent into the wilderness, to the temple where she is to be nourished for a time, and times, and half a time" - a translation which certainly evokes imagery of the apparitions of Our Lady of Light, which to date have almost exclusively occurred over church buildings. Just as the original flight of the Holy Family into Egypt was necessitated by an act of mass infanticide, these apparitions of the Virgin Mary in Egypt began to appear amidst the backdrop of what was the beginning of the greatest act of infanticide the world has ever known – the legalisation of abortion. The year in which the apparitions in Zeitoun first occurred was a pivotal moment in process behind the legalisation of abortion. The Abortion Act in the UK came into effect during April 1968, the same month the apparitions began to take place. This year also saw President Lyndon Johnson's Committee on The Status of Women publishing a report calling for a repeal of all abortion laws in the US. The implementation of the UK Abortion Act was the major turning point in international abortion law, and was soon to be followed by a host of other nations. By mid-1969 ten US states had loosened their abortion laws, including Colorado, North Carolina, California, Georgia, Maryland, Arkansas, Kansas, Delaware, Oregon and New Mexico. Abortion on demand was eventually established after the US Supreme Court deemed individual state bans on abortion to be unconstitutional following the Roe v Wade case in 1973. In France, women seeking an abortion began to travel to the UK to have the procedure after the Abortion Act came into effect in 1968. The relative ease of travelling to the UK to procure an abortion would lead to France revising its own abortion laws, and abortion was finally legalised in France in 1975. Marian apparition often occur before periods of great upheaval. Perhaps most famously, Our Lady appeared at Fatima just before the rise of communist Russia - with the miracle of the Sun on the 13th October 1917 directly coinciding with the October Revolution which saw the Bolsheviks rise to power within a month. The other Church approved apparition at Beauraing and Banneux, in Belgium during the years 1932 and 1933 respectively appeared just before the rise to power of Hitler, who was made chancellor of Germany on 30th January 1933 - the same month when the first apparitions at Banneux occurred on the 15th. The apparitions at Kibeho, Rwanda, between 1981-1989 prophesied the Rwandian genocide, which was to claim the lives of an estimated 800,000 people in 1994, including one of the visionaries - Marie Claire. While the significance of the apparitions at Zeitoun are thought by some to be related to the Six Day War of 1967, it is much more likely to concern the legalisation of abortion, given the above background context. The fact that the Six Day War took place before these apparitions would also indicate that the Zeitoun apparitions were not related to this event, since all the other apparitions appeared before the events occurred. Our Lady first began to appear at Zeitoun on 2nd April 1968, and the UK Abortion Act was brought into effect just weeks later on 27th April. Now that the apparitions of Our Lady of Light are in the process of making the return journey, we are left to reflect upon Matthew's quote of Hosea 11:1: "Out of Egypt I called my Son". During the season of Advent, the Church looks not only to the first coming of Christ, but it also focuses on His Second Coming. The birth-pangs of the Woman adorned with the Sun indicates that the Second Advent is near. Could these apparitions, which appear to be the ultimate fulfillment of the prophecy of the Woman adorned with the Sun, signal that God is calling his Son out of Egypt to return to His earthly homeland? As we have already discussed previously, there are numerous links throughout Scripture with the Second Coming, eschatologlical earthquake and the destruction of the eschatological empire referred to as "Babylon". These various connections appear to indicate that this earthquake is in some way responsible for the downfall of "Babylon" - the ruling world power at the end-time (see the earlier post on The Eschatological Earthquake), which in turn leads us to question how this could be possible. As I have argued before throughout this blog and in my book Unveiling the Apocalypse: Prophecy in Catholic Tradition, the Bible repeatedly states that the this "empire" will be destroyed by a burning mountain being thrown into the sea (see the earlier post The Casting Down of Mountains for a comprehensive list of Scripture passages connected to this event). The volcano Cumbre Vieja in the Canary Islands presents just such a threat to the east coast of the Americas, which scientists warn could collapse into the Atlantic during its next eruption, producing a "mega-tsunami" that will obliterate the various cities of the eastern seaboard (see Mega-tsunami). But what possible association could there be between this eschatological earthquake and the eruption of Cumbre Vieja? Scientists using NASA satellite data have found strong evidence that a major earthquake can lead to a nearly immediate increase in regional volcanic activity. The intensity of two ongoing volcanic eruptions on Indonesia's Java Island increased sharply three days following a powerful, 6.4-magnitude earthquake on the island in May 2006. The increased volcanic activity persisted for about nine days. "During this period, we found clear evidence that the earthquake caused both volcanoes to release greater amounts of heat, and lava emission surged to two to three times higher than prior to the tremor," said study lead author Andrew Harris, University of Hawaii, Honolulu. The research was recently published in the American Geophysical Union's Geophysical Research Letters. While scientists have long debated whether earthquakes can trigger new volcanic eruptions, this study linked an earthquake to enhanced volcanic activity at two ongoing eruptions that were being closely monitored by satellite-based sensors on a daily basis. Volcanic activity in the Canary Islands is affected by the movement of the African tectonic plate, and it is thought that a smaller fault line runs through the islands, which act as a vent during times of major seismic activity, allowing magma to escape to the earth’s surface. Think of shaking a can of soda then dropping it on stony ground – the increased pressure within will cause the agitated liquid to sprout out from the weakest point in the can. We can gain some insight into volcanic activity in the Canary Islands by examining the latest eruptions at El Hierro, which are still ongoing. 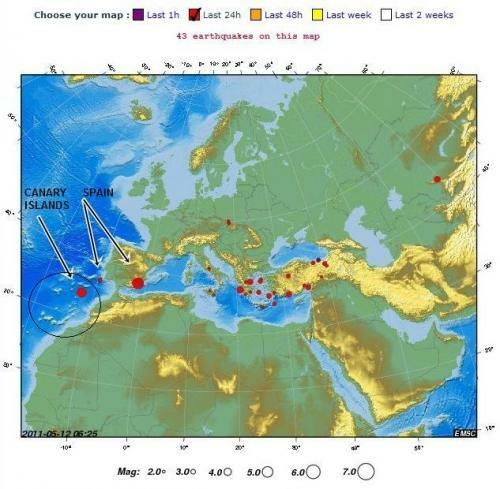 The increased magmatism below the Canary Islands appears to be related to the 5.2 magnitude earthquake in Spain on May 11th 2011, which hit the town of Lorca. A 4.7 magnitude earthquake struck the Canaries the day after, at El Hierro on May 12th. The Lorca earthquake occurred along the fault line that is associated with volcanic activity in the Canaries. The above diagram shows the seismic activity along the North African and South Eurasian fault lines in a 24-hour period between May 11th – 12th in 2011. The recent volcanic activity at El Hierro is thus produced by the movement of the African tectonic plate, and is symptomatic of the wider seismic activity along this faultline, which in addition to the Lorca earthquake in Spain, has also produced the recent earthquakes in Turkey. As we can see from the diagrams above, the land of Israel is situated between the dividing fault lines of the African, Eurasian and Arabian plates. 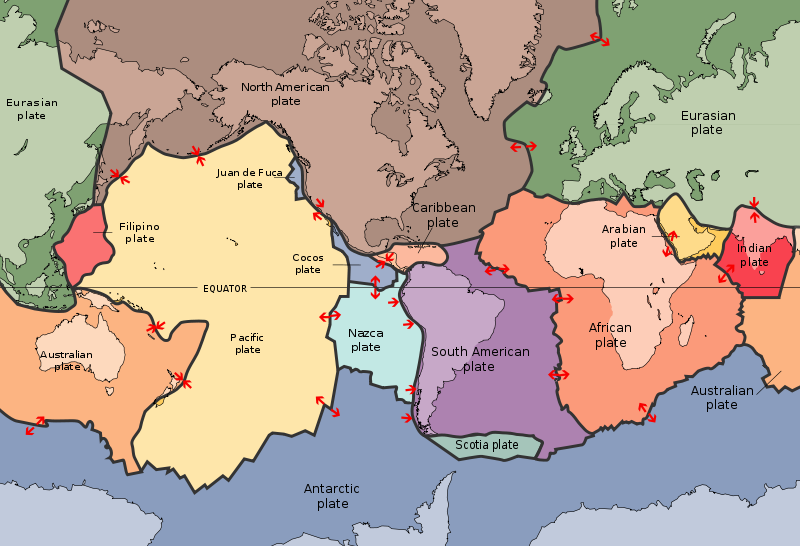 So if there was a major earthquake centred on Jerusalem (which the Book of Revelation predicts will be the greatest earthquake known to human civilisation) caused by the shifting of the African plate, this could create a surge of magma across the entire faultline that would seek to escape through the volcanic vents on the Canary Islands, thus setting in motion a chain of events that would cause the collapse of Cumbre Vieja, and consequently see the destruction of the east coast of the Americas. As we noted before, the passage which reads "And every island fled away, and no mountains were to be found" can also be translated from the original Greek as "the whole island fled away, and no mountains were to be found" (see the earlier post The Fall of Babylon), which conjures imagery of a lateral volcanic collapse. Of course the whole process wouldn't be instantaneous. The process of magma and plate movements beneath the earth's crust is slow, and there could be months between this earthquake and an eruption in the Canary Islands. So the collapse of Cumbre Vieja wouldn't come without warning. Some Israeli scientists have warned that another major earthquake appears likely to strike the Holy Land in the next 50 years. The Great Rift Valley runs for 3,000 miles between Syria and Mozambique and passes through the Dead Sea, below Jerusalem's eastern hills. 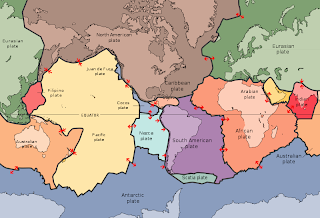 The fault line was caused by the separation of African and Eurasian tectonic plates 35 million years ago, a split that weakened the Earth's crust. About 35 miles to the north, another fault line cuts the land east to west from the Mediterranean port of Haifa with the West Bank towns of Jenin and Nablus before reaching the Jordan River. "This is a very active area which may produce a large earthquake once in a while," Bein said. 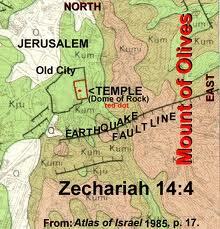 Two weeks ago, a small 3.7 magnitude earthquake was measured in the Dead Sea region but caused no damage.